The VFX industry has changed a lot over the years. But visual effects are still widely used in film & gaming so the industry isn’t going anywhere. It’s a great skillset to learn with unions backing workers for competitive pay and quality working conditions. If you’ve never done any VFX or special FX work then it may feel intimidating to start learning. There is a lot to pick up and you may feel unprepared if you just watch YouTube videos. Thankfully there are many premium digital courses you can study from to teach yourself VFX right at home. You can learn all the best software, all the techniques, and how to blend into the post-production workflow on any project. Below are my picks for the best premium classes that you can take digitally. VFX may not be the easiest topic to study by yourself, or the most fun. However you can save a lot of money on college tuition if you buckle down and push yourself to learn VFX online. I frequently praise CG Spectrum for their incredible teaching style and their accessible course structures. In fact, out of all the content I’ve seen on their website I cannot say any of it was a disappointment. This goes double for their Foundations of VFX & Game Design diploma course. It’s designed as a beginner’s intro to game design and VFX for post-production work. As a new student you only need to commit a minimum of 20 hours per week and you can get through all this material with serious knowledge of VFX software. If you have even more time to dedicate then you can learn a whole lot faster. All of the CG Spectrum courses are taught by mentors. These are industry veterans with real-world project experience working at video game studios and big movie studios. Their Foundations of VFX course runs for 10 months which is basically a year-long study. The entire thing is handled online so you can take calls with your mentor & share your project work directly online for critique. We wrote a lengthy review of the CG Spectrum learning process if you want to check that out. It’ll explain a lot more about the curriculums, the student dashboard, and how the learning process works. Each course does vary in length and intensity but the learning process generally feels the same. You’ll notice this course actually covers more than just basic VFX too. It’s specifically focused on visual FX work for gaming so it also covers animating, modeling, and other related tasks. I’d argue this course is not the ideal for aspiring VFX artists with their eyes on live action movies. 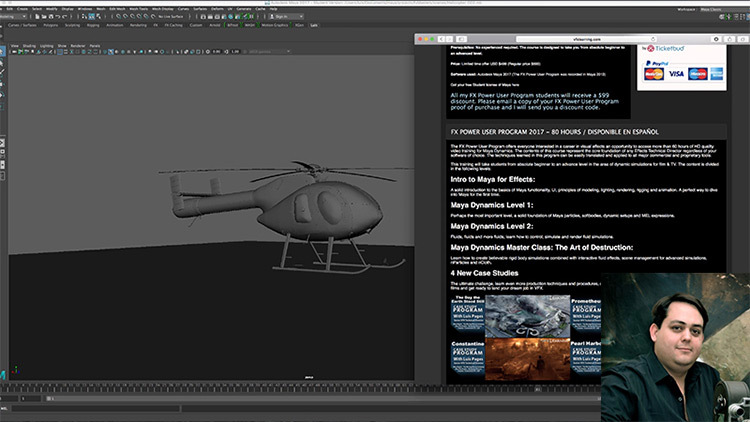 In that case you might prefer the Houdini FX course which also runs for a total of 10 months. The CG Spectrum team is super friendly and more than happy to assist prospective students to help them find the right course. So if you send them an email you can get more info on how it all works and see if their classes would be a good fit with your goals. But I do recommend at least looking through their course listing to see what they offer. It’s rare to find an online school with teachers who have real industry experience. And that’s one of the main reasons I recommend CG Spectrum over the many overpriced colleges with lackluster curriculums. Online technical learning with Pluralsight is super easy. They’ve got one of the largest libraries for online courses with a ton of content relevant to VFX work. You can study After Effects, NUKE, Houdini, and so much more, all from one place. With Pluralsight you just sign up and pay a monthly fee to gain access to their entire course library. That library includes well over 6,000 courses all taught by professionals. Granted many of these courses are only tangentially related at best. You’ll find a bunch of IT/server admin courses, programming stuff, and some visual design courses too. But that’s the beauty of Pluralsight: you can learn anything you want! Maybe you want to study VFX software but also want to learn a little bit of coding on the side. Pluralsight lets you do that. Everything is self-paced so you can learn at your own speed with no specific deadlines. This also means you don’t get access to a real teacher which can be a bummer. Although if you’ve got discipline I think you’ll be more than fine to go at this alone. At least in the beginning. Also worth mentioning that Pluralsight offers a free 7-day trial for new signups. So if you just want to peek around and check it out you can make a new account on this page by clicking the “free trial” link. If you love what you see then stick around and keep learning. If you don’t then cancel your account before the trial expires and never pay a dime. EDIT: Looks like Pluralsight recently updated their free trial from 7 days to 10 days. I’m not sure how long it’ll last but that gives you 3 extra days to skim their library. Pretty cool! VFX is a very broad term. Many aspiring VFX artists want to strike a balance between 3D work and live action. That’s where FXPHD comes in handy. This website is dedicated to all VFX/special effects topics. You’ll learn animating, video compositing, texturing environments, and plenty of post-production techniques for live action film projects. I’m a big advocate of FXPHD because they offer a mix of VFX courses for animators and artists focusing on live action. For example this course teaches you how to touch up a scene by adding digital makeup. And there’s plenty more where that came from. Take a peek at their entire course listing and see what you think. Based on the size of their video library I’d wager there’s something in here for everybody regardless of skill level. The FXPHD pricing model works on a monthly basis so this is much like Pluralsight. You pay a monthly fee and get access to all of their courses as long as you’re subscribed. However from what I can tell there is no free trial period for FXPHD. You’re either in or you’re out. But there are seriously so many courses in here that I cannot imagine going elsewhere. Every program under the sun from Cinema 4D to After Effects gets covered. And there’s plenty of live action stuff on topics like background work and lighting techniques. Everything you could want to learn can be found in FXPHD. My biggest gripe is the lack of organization since there’s no clear “path” to walk from beginner to expert. The learning process falls on your shoulders to keep it organized and plan ahead. If you’re a naturally organized person who’s willing to put in some hard study time then you can bet your bottom dollar on FXPHD to teach you some great stuff. 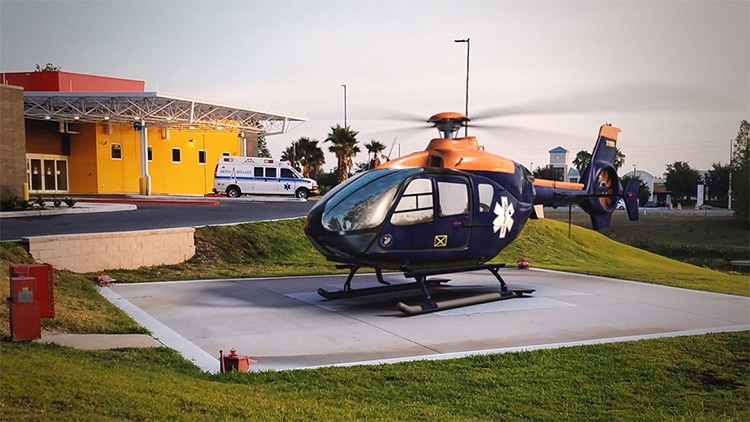 Have a look at their FAQ page to learn more about the company, and you can always send an email to the staff if you have questions about anything. 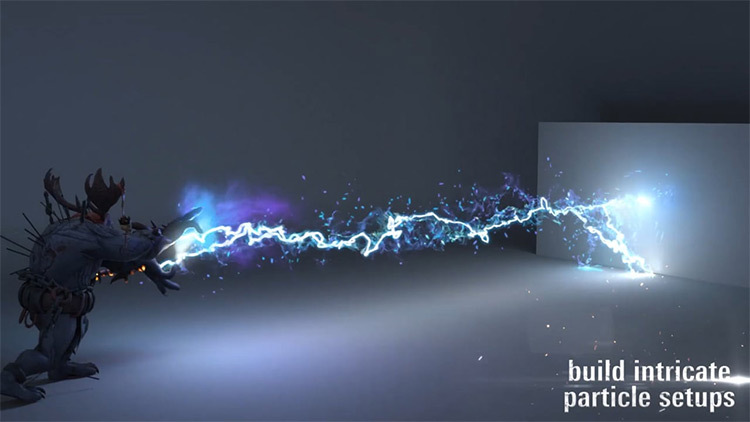 VFX Learning is an online school offering just what the name suggests. 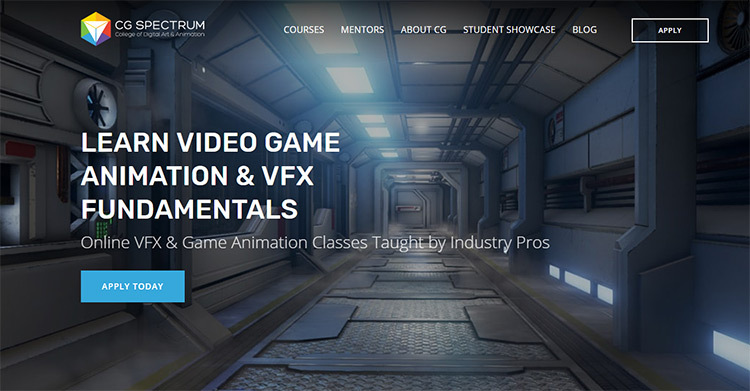 Their courses break down into 2 categories: animation and VFX. Both focus on 3D and both place a heavy focus on visual effects for gaming. You can learn some video editing skills as well but that’s not the exact goal of this site. The nice thing about this website is the massive variety you can pick from. A few courses run for a long time and go pretty deep. They can cost upwards of $500-$700 per slot. But other smaller courses are just intro courses for beginners. Those get down pretty cheap ranging from $25-$100 per slot. Have a peek at the teachers page if you want to learn more about the school and who you’d be studying under. Although I’d argue that CG Spectrum would offer a stronger education than these individual courses as a whole, there is room for VFX Learning in your self-study regimen. I also understand that CG Spectrum can be a big commitment with long-term requirements. If that’s not something you can do then VFX Learning is a solid alternative. I was surprised to see that CGMA has a full VFX section in their course listing. I’ve always thought of CGMA as a learning site for 2D work and digital painting. But they’ve really expanded over the years and I would genuinely recommend them for studying some of the basics of VFX. Topics in the VFX category include basic CGI stuff like rigging and sculpting. But there’s also videos on lighting, special effects, working with VFX software and special techniques like matte painting. One of the best programs for VFX is Houdini. I’ve mentioned it a few times in this article and it’s certainly a favorite in the industry. CGMA has a brilliant introductory course on Houdini for absolute beginners. This runs for just over 2 months of intense studies with critiques from a live instructor. It’s not an easy course and you do have to dedicate a good amount of time each week for the lessons + homework. However it’s something you can do with zero prior experience and still walk away comfortable using the software. Very few courses will give you that. I should also mention that CGMA’s VFX category does place a big focus on the gaming industry moreso than live action film. You’ll learn a lot of techniques that can apply to live action but I wouldn’t say that’s the goal of these courses. Just keep that in mind when browsing. And if you do have questions or want to clarify the benefits of any CGMA courses you can always send them a message or call to get more info. Out of all the courses I’ve listed above I would still recommend CG Spectrum as the best option for self-study online. Followed closely by a monthly subscription to FXPHD. Both of those sites offer a phenomenal learning experience with a wide breadth of topics that’ll make you a well-rounded VFX artist. And if you put in serious time on either of those websites you can develop a professional portfolio within 2-3 years or less. Far less than the time required for a college degree! Now if you’re trying to learn more about video compositing, editing, and VFX for live action, here’s a few more online classes you might look into.